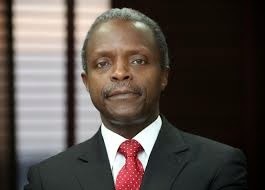 Vice President-elect, Professor Yemi Osinbajo yesterday said teachers in the country’s public schools will get free tertiary education when the next administration is sworn in on May 29, this year. Osinbajo disclosed this during a consultative meeting with Governor Babatunde Fashola of Lagos State and members of Nigerian Union of Teachers, NUT in Ikeja. He noted that continuous education for teachers is one of the core programmes of the next administration.